Rebecca Howe: Look guys. Postcards from Woody. Sam Malone: [excitedly] Hey, all right. Rebecca Howe: Listen to mine. "Dear Miss Howe. I'm having a great time on vacation. I miss everyone there, but I miss you most of all. Love, Woody." What does yours say, Sam? 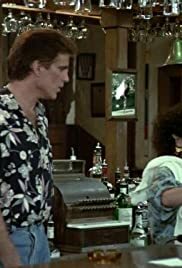 Sam Malone: "Dear Sam. I'm having a great time on vacation. I miss everyone there, but I miss you most of all. Love, Woody."